A Halal cafe situated in the historic Sultan Hotel in the Kampong Glam precinct, Sultan Hotel is a boutique hotel and was once a publishing centre in the early turn of the 20th century. Naming it Classified Cafe reflects well the history of the former publishing house. The offering of Halal menu of Western and fusion meals right in the heart of the Muslim community adds the vibrancy to the already rich culture heritage. 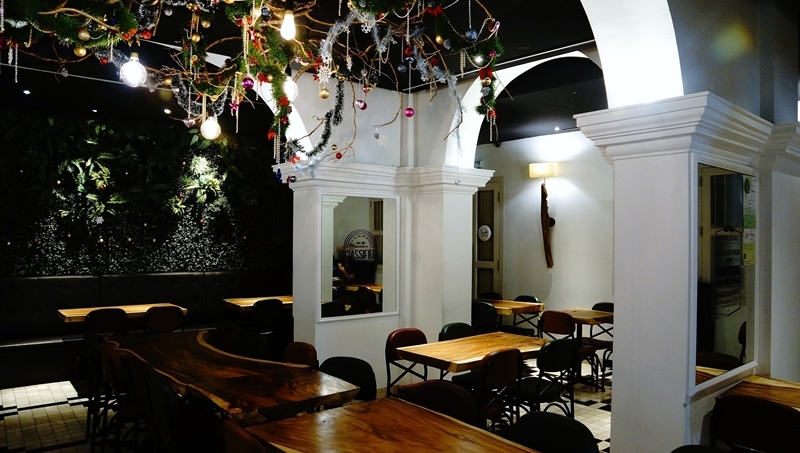 Classified Cafe is relatively a young cafe designed to provide a cozy and nice ambience. A beautiful melody was playing in the background, which instantly calmed the mood and slowed down the pace when we stepped into the cafe. 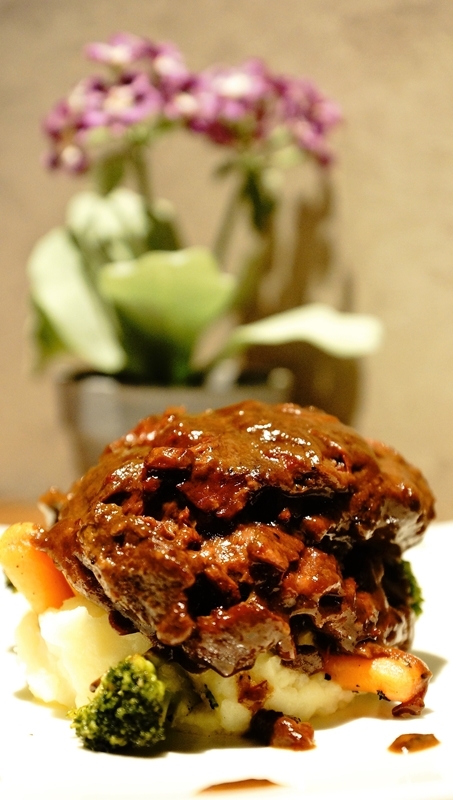 Beef cheeks are a tough cut of meat and requires long hour of slow cooking to breakdown the texture, The beef cheek served was juicy and so meltingly tender, we can eat it with a spoon! The braised sauce is infused with incredible flavour in a thick and luscious gravy. Highly recommended. 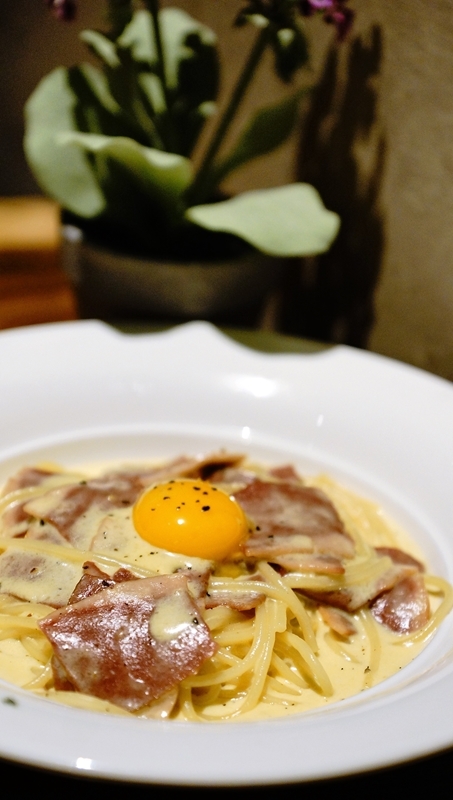 Turkey bacon in cream & shaved parmesan toss with spaghetti, served with an egg yolk. The essence of a good Carbonara highly relies on the aroma of the sauce, every strain of spaghetti was soaked with the rich and creamy cheesy flavour. A satisfying dish indeed. 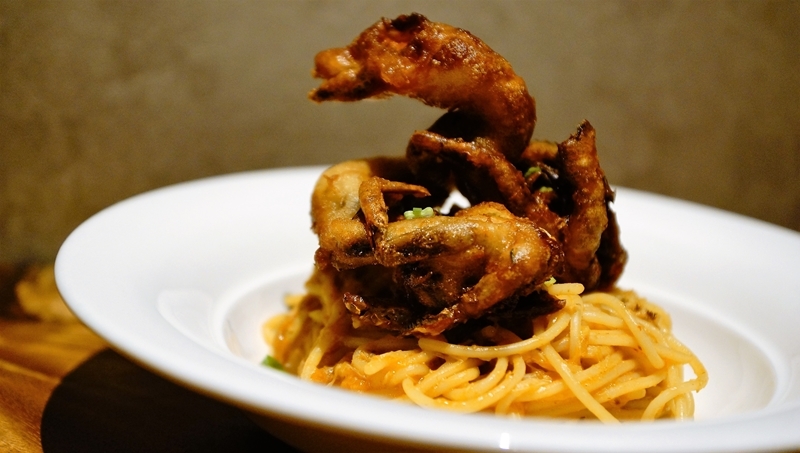 Uniquely Singaporean Chilli Crab sauce toss with spaghetti, served with a deep fried soft shell crab. We can taste the spiciness of the Chilli crab sauce but the unique chilli crab flavour was not distinct enough to create a truly Singaporean chilli crab pasta. A bit more work to enhance the crab / seafood flavour will help to boost the taste and brings the local pasta closer to its theme. The roulades are chicken breasts that have been pounded very thin and then rolled up with stuffing made from mushroom, mozarella and Fresh Thyme etc. 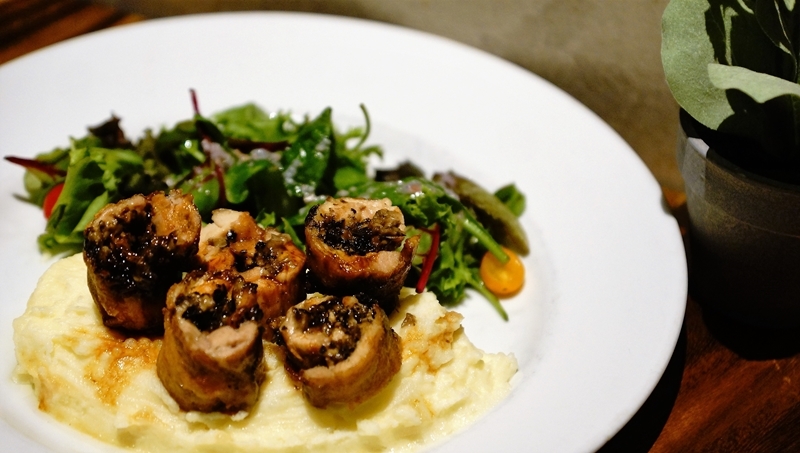 Served with mashed potatoes, the Chicken roulade capitalised the stuffing to determine the overall flavour, What we were presented may be at the tame side of flavour for some but will be loved by those appreciating simplicity. 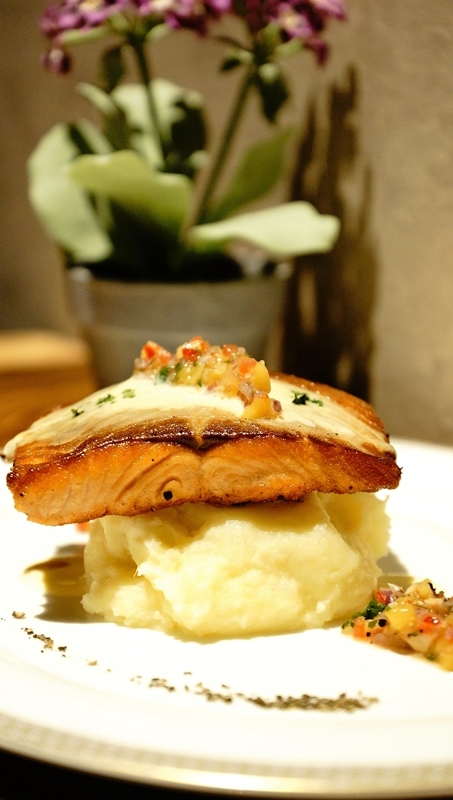 The pan seared and oven baked Salmon was well executed for a perfect lightly crisp on the exterior. The tenderness of the fillet with the juiciness are just nice and not meant for us to express a different opinion. The lightly seasoned salmon provided the closest nature flavour can offer. The lava cake was not the traditional spongy type of chocolate cake texture but came with a hard crust, something different but well accepted by all of us. 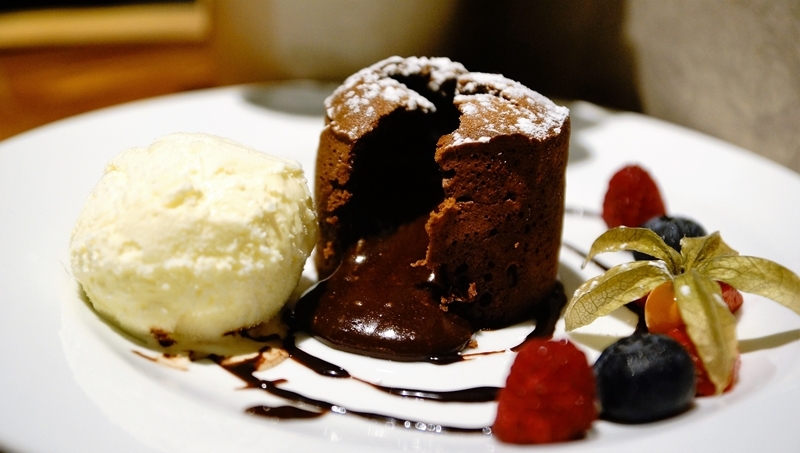 The molten hot chocolate flowed out smoothly and we wish the vanilla ice cream could be more flavourful to complement the lava cake better. 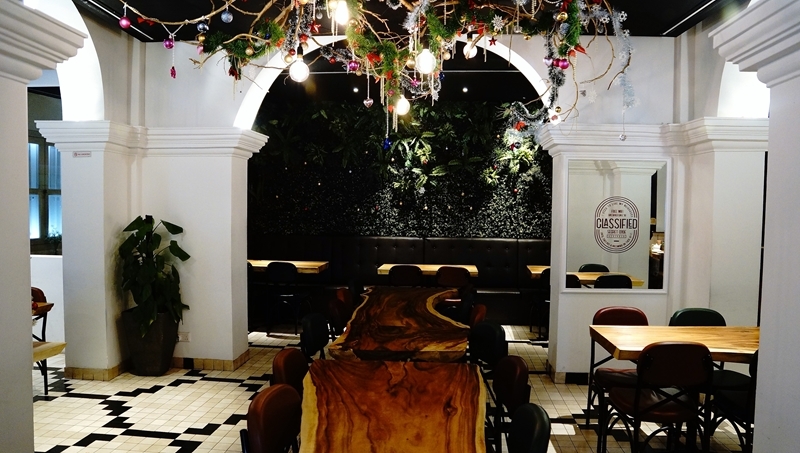 From the inviting and pleasant environment to the tantalizing food, Classified cafe is well positioned to take the helms among the Halal cafes. We know by now another good place for a meal and gathering with our Muslim friends and colleagues. Next PostAspirasi Food Galore Review - Halal Chicken Rice At It's Best!